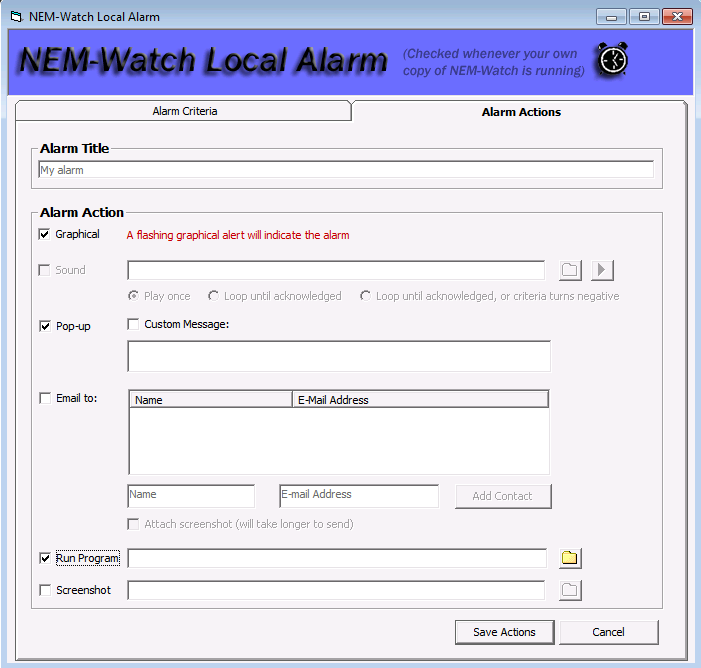 Create a new local alarm by clicking the ‘alarms’ button on the toolbar at the top right of NEM-Watch and then clicking ‘New alarm’. Enter a title for the alarm. Use the drop down boxes to set a criteria. Press ‘Insert new rule’ to create an alarm with multiple criteria. Alarm actions may now be selected. Graphical: regions in NEM-Watch will flash to indicate an alarm has been triggered. Sound: a sound will play. Make sure your speakers are turned on. Pop-up: a small box will pop up giving details of the alarm or the custom message if it has been set. Email: send an e-mail will details of the alarm to selected e-mail addresses. Run program: start any external program. 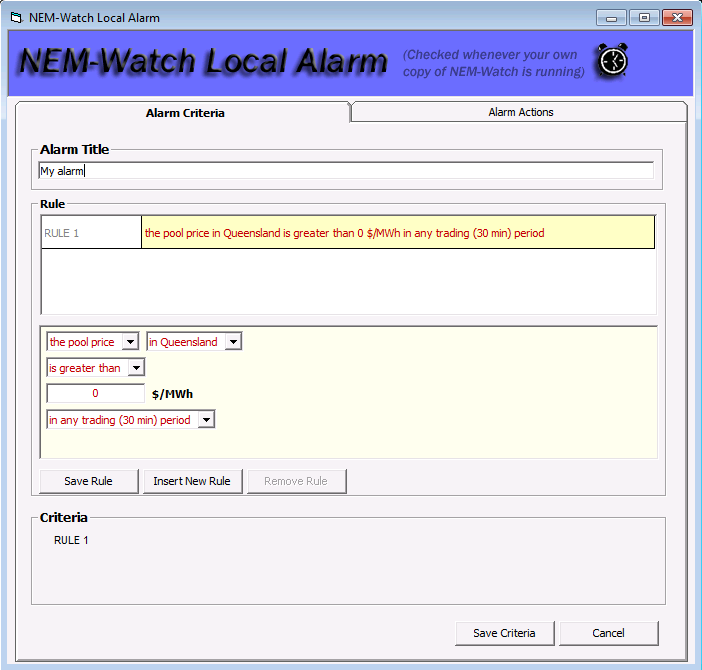 Screenshot: save a screenshot of the NEM-Watch when the alarm triggers. Useful for maintaining archives.